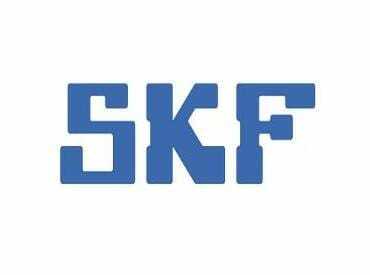 SKF India shares hit a new high of Rs 2,165, up 2 per cent, in intra-day trade on Thursday, extending its previous day’s 3 per cent gain on the BSE in an otherwise subdued market. In comparison, the S&P BSE Sensex was down 1 per cent in the past two trading sessions. The stock has outpaced the market in the last month by surging 12 per cent, against 4 per cent rise in the benchmark index. SKF India is a leading technology and solutions provider of bearings, seals, lubrication systems and services. For the third quarter ended December 31, 2018 (Q3FY19), SKF India had posted 2.7 per cent year on year (YoY) growth in net profit at Rs 88.5 crore. Net sales grew 9.6 per cent to Rs 768 crore over the previous year quarter. The management said the company posted a steady financial performance in this quarter despite subdued demand in the automotive market and slowing industrial output. Faster growth in industrials segment (21 per cent plus YoY) and a slowdown in automotive segment (7 per cent plus vs 18 per cent in 1H) led to the drop in EBITDA margins (down 170bps YoY) to 15.8 per cent, according to analysts at JM Financial. While auto volumes remain weak, primarily in passenger cars segment, management expects rollout of Hub-3 bearings (from Mar’19), pinion bearings for CVs and higher share in freight bearings to offset the macro weakness to some extent and improve market share in auto OE segment from mid-single digits to high single digits, the brokerage firm said. Railways are seeing robust growth from regular freight wagons, while Dedicated Freight Corridor Corporation of India (DFCC) orders are still to pick up. Coupled with railways, management expects industrials segment growth to continue led by off-highways, stability in energy and renewables, pickup in general engineering and strong after-market revenues. Despite a challenging environment for automotives, analysts at Karvy Stock Broking are of the positive view about both automotive & industrial segments, however, in view of higher valuations, challenging energy segment outlook, the brokerage firm retains “HOLD” rating with a target price of Rs 2,025. Positive factors like improving demand, opportunity in railways, strong positioning across the segments & future capex plans are negated by high valuations and challenges in energy segment, it said.